UNICEF UK today paid tribute to its long-term supporter and Goodwill Ambassador, Sir Roger Moore, who has died at the age of 89. Since his first involvement with UNICEF in 1991, the internationally renowned actor had been a dedicated and passionate supporter of the charity in a number of ways. Anthony Lake, UNICEF Executive Director reflected on the life of Sir Roger: "With the passing of Sir Roger Moore, the world has lost one of its great champions for children – and the entire UNICEF family has lost a great friend. In his most famous roles as an actor, Sir Roger was the epitome of cool sophistication; but in his work as a UNICEF Goodwill Ambassador, he was a passionate – and highly persuasive – advocate for children. He once said that it was up to all of us to give children a more peaceful future. Together with Lady Kristina, he worked very hard to do so. 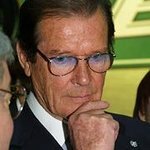 Roger Moore, KBE, was a popular British film, television and stage actor, perhaps best known for his portrayal of Simon Templar in The Saint and as secret agent James Bond. Sir Roger was introduced to UNICEF in 1991 by the late Audrey Hepburn and was appointed UNICEF Special Representative for the Film Arts in August of that year. In view of his outstanding service on behalf of the world’s children, Moore was subsequently named UNICEF Goodwill Ambassador. Sir Roger’s first UNICEF mission was to Central America in August 1991, where he visited projects in Costa Rica, El Salvador, Honduras, and Guatemala. He also met with the Presidents and senior government officials to discuss the situations affecting children in their countries. An advocacy trip to Brazil followed in September 1991, during which he met with the country’s President and the Presidents of the Senate and House of Representatives to commend them on Brazil’s incorporation of the Convention on the Rights of the Child into its Constitution. In October 2000, Moore visited Ghana accompanied by some of UNICEF’s corporate partners and UK representatives. He visited a number UNICEF-supported projects both in Accra and on the outskirts of the city, and attended a national immunization campaign with the country’s First Lady. His work with UNICEF has also taken him to Jamaica, Indonesia, Korea, Japan, Netherlands, Kazakhstan, Slovenia, former Yugoslav Republic of Macedonia, Philippines and Mexico. His visit to UNICEF’s Supply Division in Copenhagen following the 2013 Philippines Typhoon thanked UNICEF staff for their hard work and helped encourage donations following the emergency. In 2014 Sir Roger was a key representative during UNICEF’s partnership with the Glasgow Commonwealth Games 2014, recording an interview to be used to promote the Baton’s journey through Africa and speaking of his many years as a Goodwill Ambassador. Most recently, Sir Roger gave his support to Unicef UK’s campaign to reunite child refugees with their families in the UK and continued to post regularly on social media in support of UNICEF’s work for children.